loan Archives - Africa M.E. LUANDA (Reuters) – A team from the International Monetary Fund is visiting Angola to negotiate a loan facility after lower oil prices hammered the finances of Africa’s second largest crude exporter, the Ministry of Finance said on Wednesday. The ministry said the IMF team will be in Angola from June 1 to June 14 and would discuss options on how to diversify the economy and reduce the dependence on the oil sector. “The initial negotiations focused on recent economic developments, fiscal, monetary and exchange rate policy in the country, as well as the evaluation of the reforms that the government has been implementing,” the ministry said in a statement. Angola said in April that it would begin loan negotiations with the IMF on a three-year loan facility. Angola’s economy grew rapidly after a 27-year civil war ended in 2002, peaking at growth of 12 percent three years ago, but a sharp drop in oil prices has sapped dollar inflows, dented the kwanza and prompted heavy government borrowing. Oil output represents 40 percent of Angola’s gross domestic product and more than 95 percent of foreign exchange revenue. MAPUTO (Reuters) – Mozambique provided guarantees on loans to state firms Proindicus and Mozambique Asset Management to protect strategic national infrastructure and help maintain naval equipment, a government spokesman said. The spokesman’s comment, in a statement, followed disclosure by the International Monetary Fund last week that Mozambique had admitted to having more than $1 billion of undisclosed debt and that the two parties were evaluating the implications of the disclosure. Earlier, a source at the Fund had told Reuters that Proindicus, owned by the interior and defence ministries and the state security services, had been lent $504 million by Credit Suisse and $118 million by Russia’s VTB. Another loan of $535 million had gone to Mozambique Asset Management, another state company set up to build a shipyard in the northern city of Pemba, that source said. In his statement dated Tuesday but acquired by Reuters on Wednesday, spokesman Mouzinho Saide said the government had granted a $622 million loan guarantee to Proindicus in 2013, and $535 million to Mozambique Asset Management the following year. “We faced security threats, such as piracy … illegal immigration, drug trafficking … and illegal fishing,” Saide said after a meeting of Mozambique’s cabinet. He said the government had also been keen to ensure protection of the assets of oil and gas companies operating in Mozambique’s exclusive economic zone. The loans are in addition to an $850 million ‘tuna bond’ issued in 2013 and restructured last month because the southeast African nation was struggling to meet repayments. The IMF source said the extra borrowing had pushed Mozambique’s foreign debt to $9.64 billion, a level “very close to unsustainability”. CAIRO (Reuters) – The World Bank will provide the first $1 billion tranche of a $3 billion loan to Egypt after parliament approves the government’s economic programme, World Bank vice president Hafez Ghanem said at a news conference late Tuesday. Parliament is expected to pass the program in April. Egypt has been negotiating billions of dollars in aid from various lenders to help revive an economy battered by political upheaval since the 2011 revolt and ease a dollar shortage that has crippled import activity and hampered recovery. The lender had agreed to provide the first $1 billion in December but is waiting for the government’s economic programme, which outlines the broad strokes of its reform plans, to be passed by parliament. The government presented a programme to parliament in late March that aimed to reduce the budget deficit while protecting the poor. 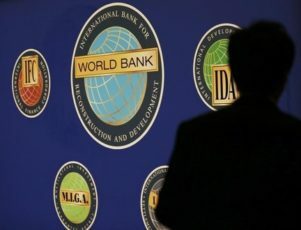 The World Bank told Reuters in December that the first tranche was focused on “10 prior actions for policy and institutional reforms” already implemented. The second and third tranches are linked to additional reforms the government plans. A long-delayed Value Added Tax (VAT) that has yet to be implemented but was included in the government programme was one of the reforms agreed to as part of the first tranche, Ghanem said. Ghanem said that there would not be specific conditions placed on future tranches but highlighted certain changes the lender would like to see, such as a shift in food subsidy policy away from reduced prices to direct cash transfers for the poor. Egypt has delayed a number of difficult reforms, from a VAT that would increase government revenues and a civil service law that would trim the country’s public workforce, to an ambitious plan to wean the country off costly energy subsidies that has since been scaled back. Egypt’s economy is currently growing at around 4.2 percent with a budget deficit of about 11.5 percent, the prime minister said last month. Saudi Arabia, along with other Gulf oil producers, have pumped billions of dollars, including grants, into Egypt’s flagging economy since the army toppled President Mohamed Mursi of the Muslim Brotherhood in 2013 after mass protests against his rule. But Egypt has said it would rely less on grants from its neighbours moving forward and would focus instead on attracting foreign investment that could relaunch its dollar starved economy. Last week it signed an agreement with Saudi Arabia to set up a 60 billion Saudi riyal ($16 billion) investment fund among other investment agreements including an economic free-zone to develop Egypt’s Sinai region. LUANDA (Reuters) – Angola will begin loan negotiations with the International Monetary Fund (IMF) this month as lower oil prices hammer the finances of Africa’s second-largest crude exporter, the Finance Ministry said on Wednesday. Angola’s economy has grown rapidly since a 27-year civil war ended in 2002, peaking at 12 percent three years ago, but a sharp drop in oil prices has sapped dollar inflows, dented the kwanza and prompted heavy government borrowing. “The government of Angola is aware that the high dependence of the oil sector represents vulnerability for the public finances and the economy in an extensive way,” the Finance Ministry said in a statement. 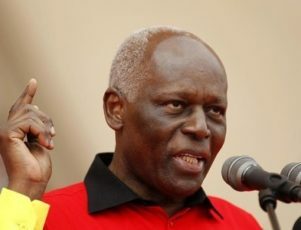 Finance Minister Armando Manuel told Reuters in March that Angola had no plans to approach the IMF for loans. Angola will work with the IMF to design reforms aimed at improving fiscal discipline, simplifying the tax system and increasing transparency in public finances and the banking sector, as part of loan talks, the ministry statement said. It added that the focus of its economic diversification efforts will be growing the agriculture, fisheries and mining sectors. The ministry said the government was also implementing an ambitious programme of fuel subsidy reforms to shore up the country’s finances. LILONGWE (Reuters) – The International Monetary Fund will resume Malawi’s $150 million extended facility programme which was suspended last year after a scandal involving abuse of state money, the country’s finance minister said on Thursday. “The IMF has given us a green-light to the resumption of the programme which allows them to disburse about $30 million of the remainder of the total $150 million,” Goodall Gondwe told Reuters. 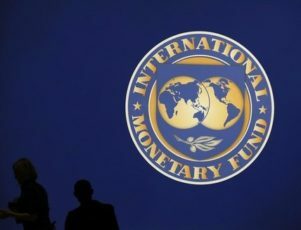 The IMF had suspended the programme following a scandal in which senior government officials siphoned millions of dollars from state coffers. Other international donors, led by Malawi’s former colonial ruler, Britain, also halted direct aid to the southern African nation over the scandal. IMF Mission Chief Oral Williams said in a statement on Wednesday that Malawi had demonstrated a concerted effort to put the programme back on track, including improvements in public financial management. Malawi has struggled to grow its economy due to declining export earnings from tobacco and in the absence of aid, which had previously accounted for 40 percent of its budget. The IMF said it expects Malawi’s economy to grow by 3 to 4 percent this year after expanding by 3 percent in 2015. But growth may be weather-dependent the Fund said, after an El Nino weather pattern triggered drought and heatwaves, threatening the staple maize and other crops. 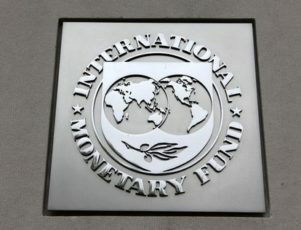 HARARE (Reuters) – Zimbabwe expects a loan from the International Monetary Fund(IMF) in the third quarter of this year, the first since 1999, after paying off foreign lenders by the end of June, the central bank governor said on Wednesday. President Robert Mugabe’s government last week agreed to major reforms including compensation for evicted white farmers and a big reduction in public sector wages as the government tries to woo back international lenders. Central bank governor John Mangudya said the IMF would decide the exact amount of the loan to issue at a later date. The fund had agreed to double the amount available for Zimbabwe, known as a financial quota, to $984 million, he said. “We are talking about the third quarter, that’s when you see most of the action happening,” Mangudya told Reuters in an interview, referring to when Harare expected the loan. Zimbabwe would also receive an $896 million loan from an unnamed country to pay off arrears to the World Bank. In addition, the African Export-Import Bank would provide $601 million for Harare to clear arrears to the African Development Bank (AfDB). Zimbabwe would then receive the same amount as a grant from the AfDB, Mangudya said. The Southern African country’s foreign debt stands at $8.3 billion, of which $1.8 billion is arrears. Zimbabwe is trying to emerge from years of international isolation, largely blamed on Mugabe’s policies, including the seizures of farms from white farmers. The worst drought since 1992 has left 4 million Zimbabweans facing hunger. Mangudya said the drought had forced the government to lower its growth target for 2016 to below 2 percent from 2.7 percent. The IMF and World Bank forecast growth of 1.4 percent and 1.5 percent respectively. Once Zimbabwe clears its arrears, it would be ready for rating by international ratings agencies, with a view to issue international bonds in future, said Mangudya. Mangudya said he supported the government’s decision to take over diamond mining in Marange because the government was receiving little money from the operations. “After the rating we will then go for the Eurobonds and all to raise money on the international capital markets,” he said. 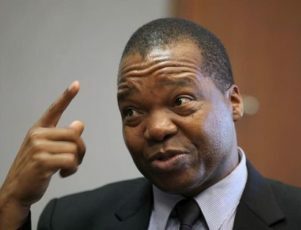 The government had issued $250 million in treasury bills to raise money for its operations in 2015, Mangudya said, adding that the bank would soon start holding public auctions of treasury bills to enhance transparency in state borrowing. The central bank also issued $1 billion in bills last year to creditors of the bank, which owes $1.35 billion. 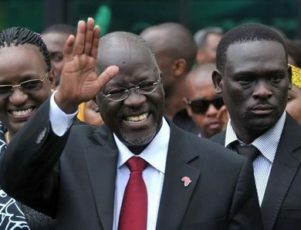 DAR ES SALAAM (Reuters) – The African Development Bank (AfDB) has approved a loan package worth $1.1 billion to Tanzania to be paid out over five years to fund infrastructure projects and improve public sector governance, it said. The line of credit will be used primarily to support the transport and energy sectors and improve the business environment in east Africa’s second-biggest economy. The loans would support “transport and energy to promote domestic and regional transport connectivity and improve access to reliable, affordable and sustainable electricity,” AfDB said in a statement late on Thursday. The government plans to spend $14.2 billion to construct a new standard gauge rail network in the next five years financed with external loans. It also plans to build a new $10 billion port at Bagamoyo, expand existing airports and invest in new roads. Tanzania, like its neighbour Kenya, wants to profit from its long coastline and upgrade existing rickety railways and roads to serve growing economies in the land-locked heart of Africa. Tanzania boasts economic growth of 7 percent a year, yet it is largely driven by state investment and poverty remains stubbornly high. It also has natural gas reserves that are estimated at more than 57 trillion cubic feet (tcf) and the central bank believes 2 percentage points would be added to its annual economic growth simply by starting work on a plant to process that would draw in billions of dollars of investment. “Board members underscored the need for Tanzanian authorities to ensure that the country’s high GDP growth delivers robust economic transformation, poverty reduction and improved livelihoods,” AfDB said.